A nonstop ticket to revenue growth. 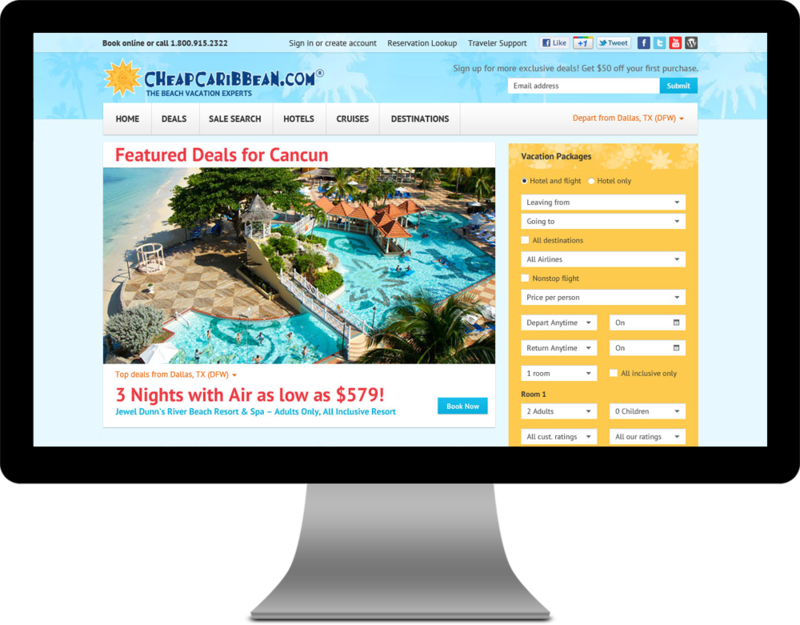 CheapCaribbean.com was a highly trafficked site with an extremely cluttered design and an outdated booking process. Slingshot came in to improve their look-to-book conversion rate. Our challenge was to simplify and streamline the site while still giving prominent positioning to their marquee hotel and CVB partners. We identified key motivators and blockers, then crafted overall user needs to lead us to design and content choices that addressed the priorities of these nuanced audience segments. We conducted multiple rounds of one-on-one usability studies on both wireframes and a testing site, then provided improved page layouts and a streamlined booking process for the client to implement with their existing content and back-end systems. Giving users a clear path. We gave users a clear path to be inspired, plan, and easily book a vacation. 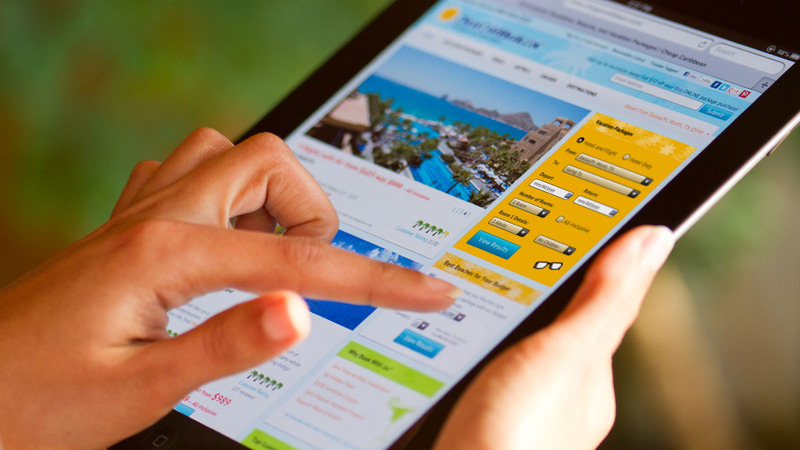 We created a much cleaner design for the site, while including home page hero placements to feature hotel and airline partner properties based on the deals they offered up to CheapCaribbean.com. Over 50 unique travel articles provided customers more vacation planning information based on interests, such as Family Friendly, Best Beach, or Romantic Getaways, with each article mentioning at least 3 partner hotels. We also significantly reduced the number of steps within their booking flow from eight to five to facilitate booking. 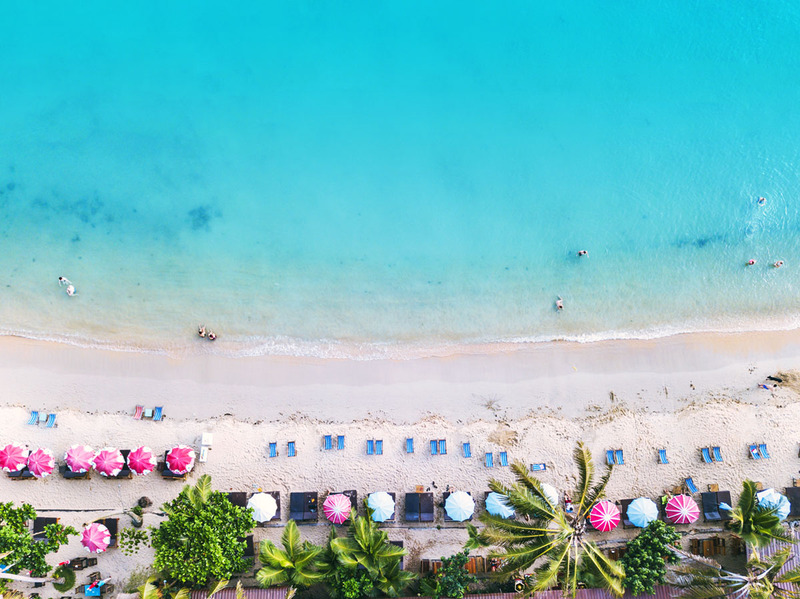 In other words, we helped CheapCaribbean.com give travelers exactly what they were looking for, and made finding it a piece of cake. And the results couldn't be any clearer.